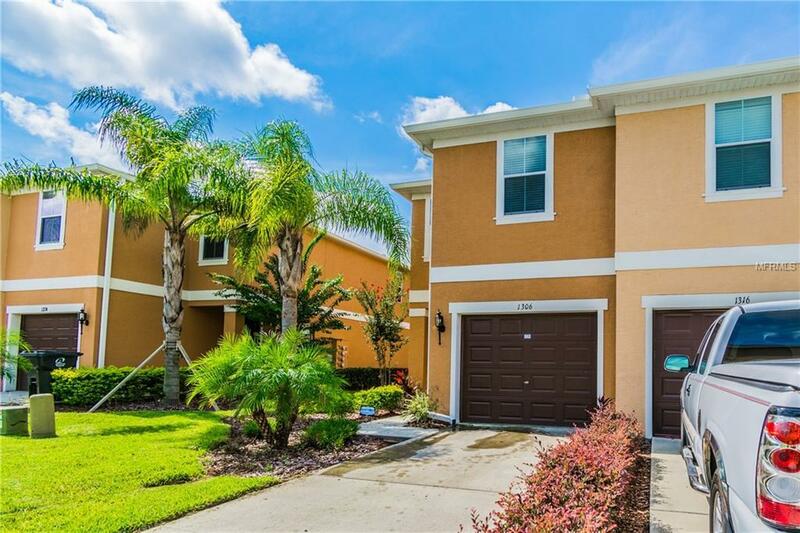 BEAUTIFUL 3 BR, 2.5 BTH, PARTLY FURNISHED END TOWNHOME WITH ATTACHED GARAGE...MOVE IN READY!! Make your appointment today to view this lovely town home in the sought after community of Towns of Legacy Park, built in 2016. Walking in is attached 1 car garage and downstairs features tile throughout. Kitchen, dining room and living room boasts an open floor plan. Kitchen features pendant lights, granite counter tops and all appliances including side by side refrigerator, range, microwave and dishwasher. At the rear of the property is a covered and screened in porch with no immediate rear neighbors. Upstairs are 3 bedrooms + LOFT and 2 full bathrooms with granite counter tops. Community features cabana with pool and spa, lawn care is provided by the HOA.Conveniently located west of Orlando in the Four Corners area, only a short drive from the Theme Parks, the Premium Outlet Malls, local shopping at the Posner Park Shopping Center andthe International Drive Attractions. For golfers, there are a number of nearby world-class golf courses including the Greg Norman designed National Golf Course at Champions Gate. Listing provided courtesy of Nexthome Location.